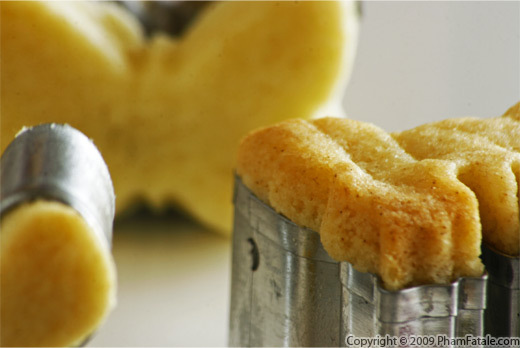 Sablé cookies are very famous in Brittany on the West Coast of France. 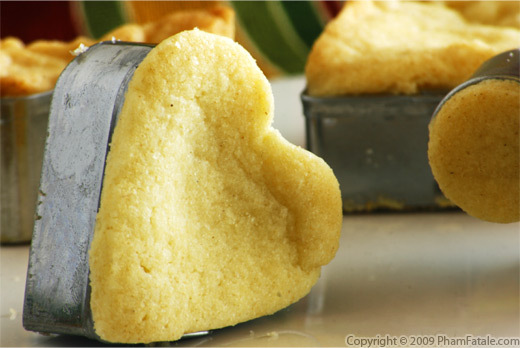 They are very similar to shortbread, except they are made with egg yolks. They also have a characteristic sandy outside edge and they are very rich in butter. Sablés have a mild sweetness that is a perfect complement for sweet mousses or parfaits. These cookies take me back in time to my childhood. I remember coming back from school and inhaling them with a huge glass of milk. In a mixing bowl, beat the egg yolks with 1/4 cup of sugar for about 4-5 minutes. You'll get a pale yellow foam and the texture of the egg yolk will be slightly denser. 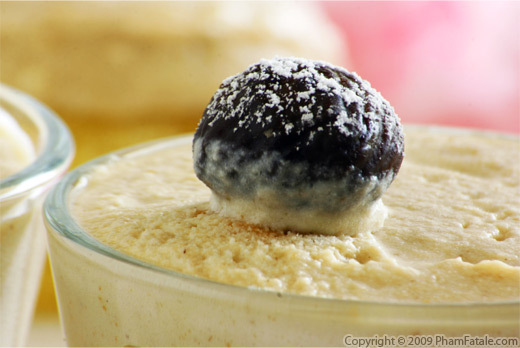 Add the vanilla and almond extracts. In a bowl, combine the flour, finely ground fleur de sel and baking powder. Sift all the dry ingredients. Cream the butter (2 sticks + 1 Tablespoon) with superfine sugar (whisk using a standmixer to get as much air as possible in the butter). Add the egg mixture and the dry ingredients. Mix well. Place a silicon mat or a sheet of parchment paper on a baking tray. Spread the sandy cookie dough onto the silicon mat. Place another silicon mat on top of the dough like a sandwich. Even out the dough using a rolling pin to about a 1" thickness. Plastic wrap the tray and place it in the refrigerator for at least 30 minutes. Remove the first layer of the silicon mat. 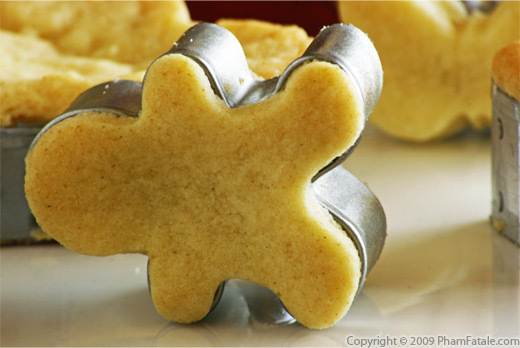 Get several cookie cutters and cut the cookie dough. Much to my chagrin, I found that using irregular shaped cookie cutters were more difficult to unmold. 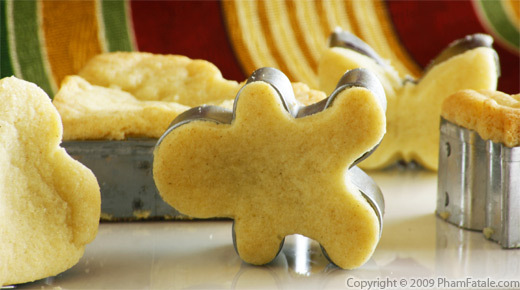 So either bake cookie-cutter-less or bake with a simple shape cookie cutter like circles or squares. 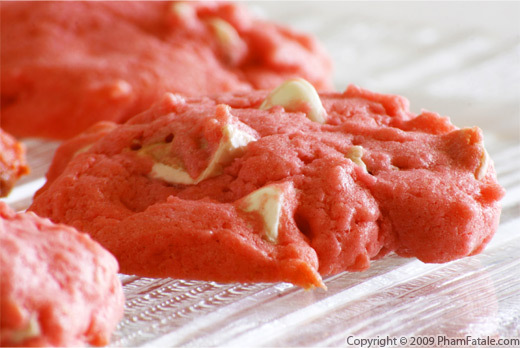 Bake the cookies for 10 minutes at 410°F. 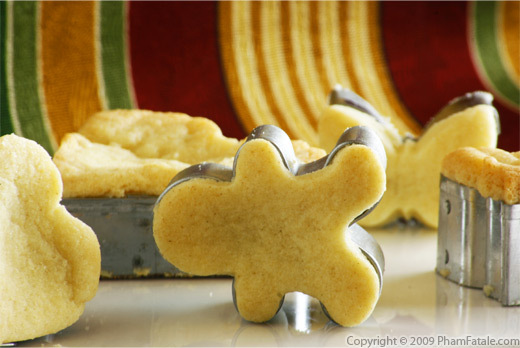 Remove from the oven and let them cool down completely to room temperature before taking them off the cookie cutters. They will harden and get firm as they cool down. 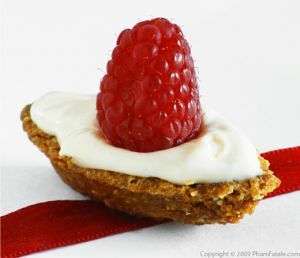 Stay tuned and check back tomorrow and see what I pair this sablé cookie with. 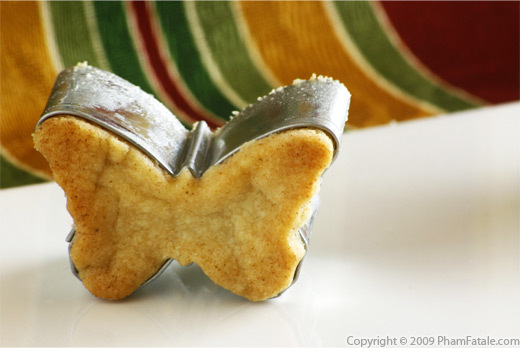 Baking the sablé cookie dough in the cookie cutter isn't necessary but it gives a bubbly characteristic outside edge of the typical French sablés. 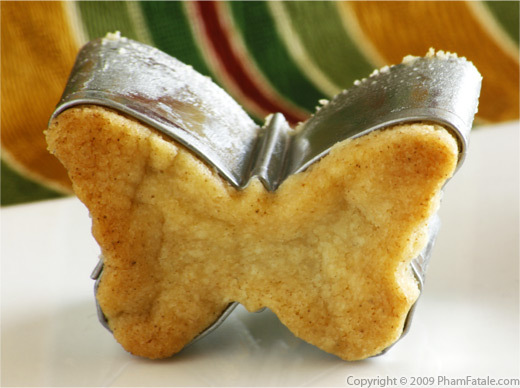 If you bake them with the cookie cutters, do not butter the cookie cutter. 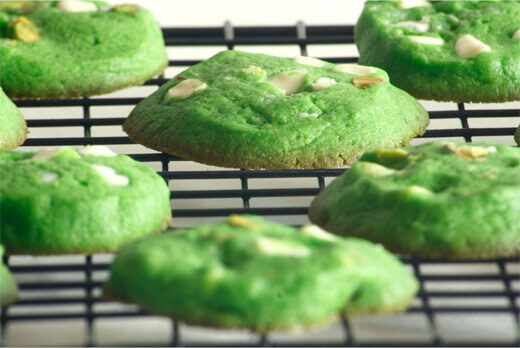 Or you can simply form logs, place the dough in the refrigerator and cut as I would for the pandan pistachio cookies. 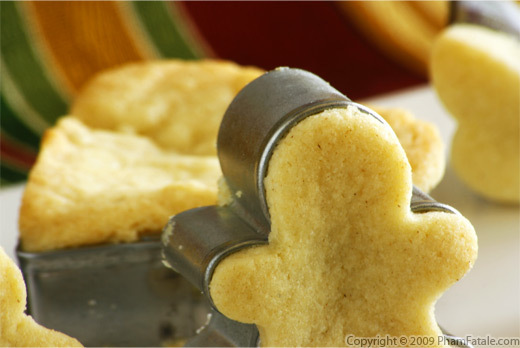 Sifting dry ingredients helps to get rid of nasty lumps of flour and aerate the mixture when liquid is added. It's very important for all your baking so you get a moist result. Published By: Jacqueline Pham on April 9, 2009. These look fantastic! I've heard of sables before but I don't know that I've actually had one before (at least, knowing that they were called 'sables'). I'd love to try this recipe! MMMMMM...Thanks for this delicious recipe!! Your pictures are beautifully yummie 8)!!! Thnaks for stopping by at my foodblog, so that I could discover yours!